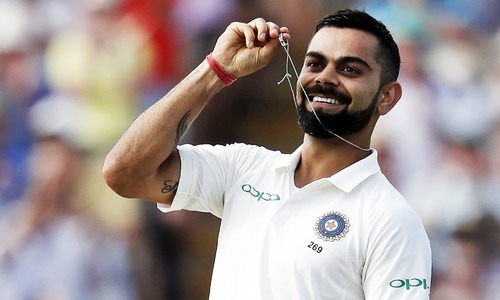 Kohli, a day after becoming the first ever player to clinch all three top International Cricket Council honours including cricketer of the year, was caught behind for 45. Ambati Rayudu finished not out 13. When New Zealand won the toss and elected to bat, it took Shami only eight deliveries to clean out openers Martin Guptill and Colin Munro before Yadav and Chahal worked their magic. New Zealand fought their way to 107 for four before Yadav came into his own, and the last six wickets fell for 50 runs in 14 overs. Kane Williamson, so often saddled with the task of rescuing his side, had luck on his side on 20 when Kedar Jadhav dropped what should have been a regulation catch. 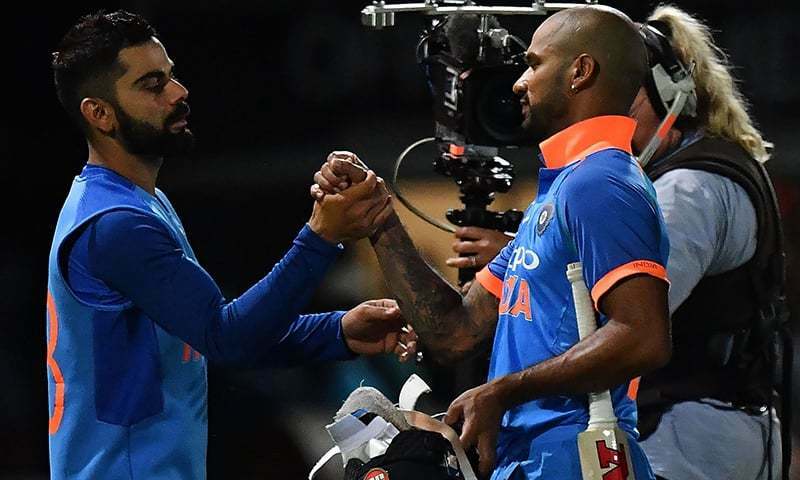 But on the first ball after the drinks break he hit Yadav straight to Vijay Shankar at long on to be out for 64. New Zealand were 146 for seven, with the last three wickets adding only 11 more runs. And the "fluke of the century" continues down under. Excellent start of the series by Indians against New Zealand. Wow, good win boys. Keep it up. Fluke win against the weakest NZ side. Congratulations India. Keep it up. Commendable bowling ..Openers need to improve a bit ..Well done blue team!!! Great team and good behaviour of captain kohli with Opponent team members. Guys please spare a thought for Sarah, Dr Salaria, bharat, fasttrack..zak and others. Lets Start crowdfunding for lifetime supply of burn ointments. "FLUKE" win over weakest NZ team "Dr Expert "
Only England can throw a challenge to the Indians in limited overs! India. Like in cricket, like in all. Mera Bharat Mahan. Shikhar Dhawan is a classy opener. Can have a great carrer. Crikey...India making short work of other cricket teams at the moment. I cant see any flaws in their side for the world cup, will be extremely hard to beat in the tournament. Good set up they have. Great victory, but New Zealand team is known for its fightback attitude.Next match will be interesting. Not the best performance of NewZealand against average opposition team. Always winning except few. Congratulations Indian team. Well done! Winning is a habit, keep it up! Nice to see team winning matches. 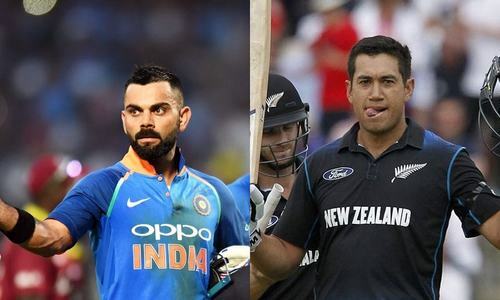 It is difficult to stop India's victory for New Zealand also. India will win this series also. Congratulations !!! First mover advantage with INDIA. King Kohli is going to white wash the NZ. India too good, after thrashing Australia. Reading the comment section I am confused, was the match played between India and Pakistan? Confusing, isn't it? keep it up. @Dr. Salaria, Aamir Ahmad, they defeated average side in UAE and whitewashed them last year 5-0. @Dr. Salaria, Aamir Ahmad, Kiwiws best performance was against minnows PAK last year. whitewashed minnows 5-0 in NZ and 2-1 in test series in UAE. @Dr. Salaria, Aamir Ahmad, yeah! Their best was against minnows in UAE where they defeated them 2-1 in test series. Once again proven best team of the world in all format, at home or in sub continent. @The lost soul 80, And he did not disappoint. HE came up with "And the "fluke of the century" continues down under." NZ win against 7th best test team was also a fluke ? Resting King Kohli and declaring it in advance, that’s how a champion team functions, awesome! @Sandeep, and take your advice. @Sandeep, This team is really excelling on foreign shores. I think the difference is having an effective bowling unit while the batting remains strong. The recent results are more impressive due to the fact that Indian players don't play foreign leagues much. Yet they have adapted so well. Credit should also go to coach Shastri and backroom team. As I mentioned in previous comments, unfortunatley am not familiar with most names in this Indian team as we don't play much. But they are doing well. Congratulaions. From a Pakistan fan. Pakistani fans don't even have numbers to support their claim. @Dr. Salaria, Aamir Ahmad, cheers!!! well spoken without envy and no derision.That is the way to be a good neighbour . @Dr. Salaria, Aamir Ahmad, With due respect, what exactly do you find so flukish about it? Care to explain? @Dr Salaria, your cheeky and often incisive comments light up the otherwise boring conversations. Please do not change, hold on tight and keep it up-seriously. My best wishes and regards. Do you know what is cricket? The same average side has hammered you in Asia Cup in both the games. So where is your level. @Joe, "Fluke win against the weakest NZ side". Before Australian team was the weakest team and now NZ, please decide which one is the weakest. Jealous have no medicine. @Dr. Salaria, Aamir Ahmad, : If you really wanna understand what fluke is then it was pakistan winning CT which they won because India played bad that day. @Dr. Salaria, Aamir Ahmad, Yes .. Very True.. New Zealand performed well against 2017 Champions Trophy Winner by giving them whitewash. Sri Lanka is playing against what Pakistan fans call "weakest Australian team ever". Since SriLanka thrashed Pakistan 5-0 whitewash in uae, i am sure you will prove how weak is Australia after results. @citizen, when something happens repeatedly it is not a fluke..unlike the champions trophy..since then you have been defeated at home. by avg Sri Lanka and new Zealand and in asia cup..so keep the champions trophy fluke for a long time..
@Dr. Salaria, Aamir Ahmad, must have been a very painful and longest streak of fluke, sir. My sympathies. @Anil Bhadauria, The match is being played in New zealand not sub continent, read the article properly. Fluke of the Century. It is the weakest New Zealand team and beating them is no achievement. Average performance by New Zealand. They did not play well New Zealand (at home) are just settling in ... give them time. (they shall of course win the "sixth" match, after they are settled - at home). India was very lucky. If the D/L had not come in India would have lost. New Zealand were unlucky other wise India had no chance. @Pakistani Cricket Fan, you lost mind. @Pakistani Cricket Fan, good one, hope people get the humor in your comment. @Pakistani Cricket Fan, Oh...you mean the same New Zealand who smoked Pakistan 5-0 in one day series and 2-1 in Pak's home test series? ofcourse... If that is a weak New zealand team, what about the Pakistan team which got butchered at their hands?? @Joe, weakest??? Are you playing against strongest RSA??.. India wins again! 2-0 against kiwis!